“Simply fascinating. :)). I don’t usually write book reviews. With I Hate to Say Goodbye, by Ruti Yudovich, I felt that I had to share my experience. This book is so authentically well written. A rich story with such deep emotional and sweet in the broad scope of life. It is well written, very vividly that more than once, I felt as if I was part of it, going through with her through the wild ride of emotional levels, go all out helping her and the characters and relive my childhood. Beautifully and uniquely detailed. It is sooo easy to read and a great page-turner. In fact, I was so involved in it that I didn’t want it to finish! Great plot with an amazing free spirit. Looking forward to her next one. Enjoy it. :))”. O. M. L.
“Rimi is saucy, sweet, sensitive, but also a fighter for what she wants and thinks is right. Some of the stories are edged with mysticism, making the narrator’s voice like no other. One meets characters and scenes unique to Israel in the fifties and early sixties. It is a rich compilation of stories with the through-line; a girl’s search for life’s truths apart from circumstance and place. A wonderful read! L.L. “Young Rimi is bright and strong, a winner…she overcomes barriers by finding solutions during ‘Moments of Deepness’ which I found inspiring. A fun and moving read for anyone who seeks a unique personal account about a special child growing up in Israel at that special time of its inception.” O.V. With daily stories of war between Israel and the Middle East, each side is born with bias to hate the other side. Yet one little girl, Ruti Yudovich, saw things through her own eyes, and grew up to fall in love with an Arab man. Ruti Yudovich has been in the education field for over 35 years in Israel and the USA. She graduated from the University of Ben-Gurion in Beer Sheva and had a very rich career teaching and tutoring people of all ages. Ms. Yudovich is a prolific writer. She has published eight non-fiction books sharing her successful and unique methods in her series: Speak Hebrew For Real; Learn How to Read Hebrew For Real; Hebrew Binyanim Made Easy and Hebrew When to Say What? 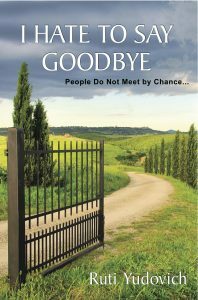 She had published fascinating memoir: I Hate to Say Goodbye that was later translated into Hebrew. 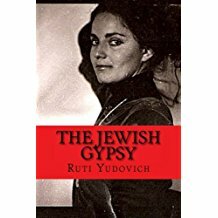 Her second novel, The Jewish Gypsy, is a historical fiction, which is a gripping story of a gypsy teenager whose life had turned around when caught in a concentration camp during WWII. Ms. Yudovich continues to write more Hebrew books in the Series Speak Hebrew For Real and is currently working on her new Science Fiction book: The Black Hills.